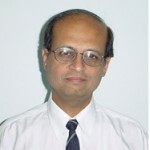 Mr. Shrikant Mehta Vice - Chair Person President (OE), ABB Ltd.
Mr. P.R. 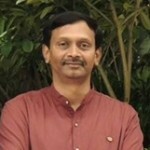 Ramesh Secretary VP-Corp consult., Seven Steps Business Transformation Sys. 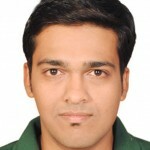 Mr. Kaushal Mehta Treasurer VP & Quality Head, SSO, Reliance Industries Ltd. The Ahmedabad LMC led by Himanshu Trivedi and Prof Rajesh Jain, conducted a Seminar on "Quality for Educational Excellence" jointly organized by Rajkot Management Association at Hotel Sarovar Portico, Rajkot on August 13, 2016. The objective of this seminar was to sensitize the Engineering and Management faculty for the need for working towards Excellence. Various aspects, issues and expectations were touched by expert speakers from Academia and Industry. 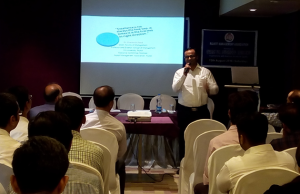 With this program we contributed in spreading need for Quality in Education to about 50 Professors and Deans of Engineering and Management colleges in Rajkot region. Inauguration and Opening Remarks by Mr. Chetan Kothari, Chairman-RMA. 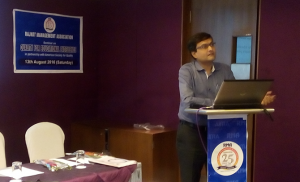 Speech by Chief Guest: Prof. (Dr.) Dharmesh Raval (Dean-Management College, R. K. University, Rajkot) on “Contemporary Issues and Need for Education”. 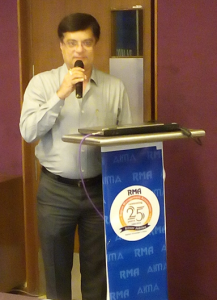 Speech by Guest of Honour: Prof. (Dr.) Rajesh K. Jain (Professor-Institute of Management, Nirma University, Ahmedabad and Vice Chair-ASQ LMC Ahmedabad) on “Quality in Education Excellence”. Speech by Chief Guest: Dr. Himanshu Trivedi(VP and Plant Head-Bosch Rexroth India Ltd. And Chair-ASQ LMC Ahmedabad) on “Need for Education Excellence-Industry Perspective”.